Security system integration simplifies user operation, especially during an emergency. The goal is user interface simplicity. Systems integration can be complex. Seeking advice from trusted advisers is critical. In the video below, Steve Pennington and Nick Hoyt discuss key concepts related to security system integration. An integrated solution from one manufacturer can be effective when the sub-systems are based on performance. While integrated systems from a single manufacturer are appropriate for many applications, sometimes devices and systems from two or more manufacturers may be required to provide unique features, performance, and benefits. 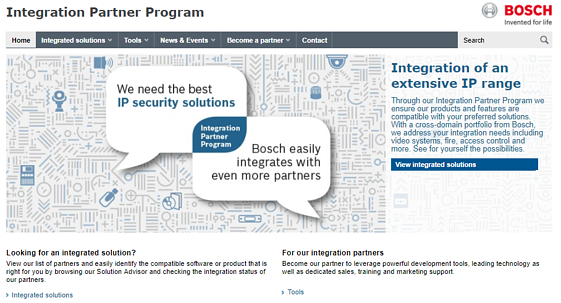 Steve Pennington sat down with Brad Eck, Bosch, North America Integration Manager, to discuss what security professionals expect from modern security solutions, large or small, and how integration improves interoperability and simplifies security operations. In Part 2, Steve and Brad dig deeper into ONVIF standards, also known as Profiles, to explore how ONVIF standardizes communication between security and other devices. They also discuss how ONVIF will expand beyond security to potentially include Internet of Things and beyond. Audio communication has become a vital part of the security and safety family. Video and audio systems can be linked together to create alerts for security personnel. The audio can also be used to create warnings for people who wander into areas they don't belong in. For example, Bosch in-camera, edge-based video analytics can detect someone entering and loitering in a restricted area and trigger another system, such as a Bosch public address system. Security officials need to know what's happening during an emergency. Employees, students, and visitors need to know what to do when an alarm sounds. In order to save time and lives, it's important to streamline operations by using system automation and audio notification to inform everyone in a facility or on a campus what to do in an emergency. 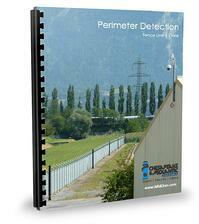 In this segment of the Security Solutions: At The Perimeter series , Tim Claus of Southwest Microwave discusses common ways to integrate 3rd party systems like video management and access control with perimeter detection systems. 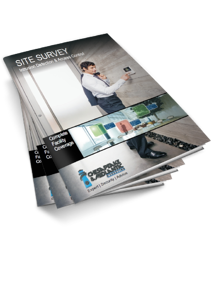 A site survey will get you started toward a complete, connected security solution. 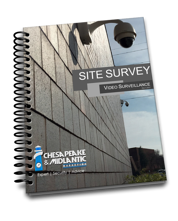 Inside our three Site Survey guides, you'll find questions about the overall expectations of the video surveillance system, intrusion detection system, or perimeter intrusion detection system, camera types, mounting methods, cable infrastructure, IT network considerations, command center console logistics, and much more. Use the Site Surveys on your own or get our team to come to your site to assist and provide free expert security advice. Want a hand with it? Contact our team to schedule a site survey at your location. After you've completed the Site Survey, email it to support@midches.com and we'll get started on your project design and parts list immediately.